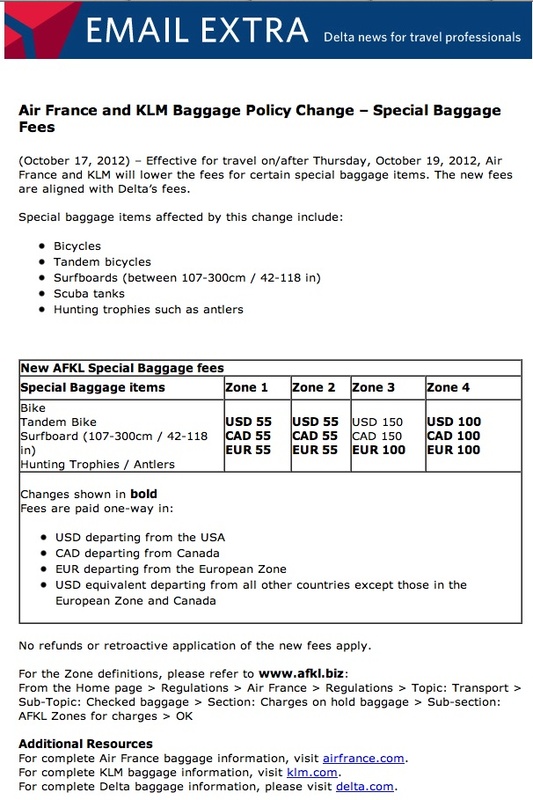 Good news for travelers, @mzsitka tipped me to an email sent out today to travel managers that fees for bicycles have been lowered to $55 from $150.00 by Delta and their partners AirFrance/KLM. The changes haven’t shown up on their website yet because they take affect later this week. We always travel with folding or S&S bikes to avoid fees. If you’re shipping a full-size bike in a big case, that’s a significant fee reduction. See the comment below from Delta. They did not lower their fees and the email was in error. We’ve covered the ridiculous $150 before and it’s in place as a deterrent. As I’ve discussed before posting this, Delta does not want you to fly bikes on their planes because the cost is too high to repair or replace them. Another good reason to fly with a folding or S&S-coupled bike.